Birders who appreciated the BirdTrax display of notable sightings, there are two replacements in development. Ohio Notable Bird Sightings developed by Ohio birder, Ken Andrews, displays on the bottom of the Birding in Ohio home page. WhereDaBirds, which we are unable to display on a WordPress page right now, has more links similar to BirdTrax. There is a link to this website, also on the home page. WhereDaBirds is being developed by Ed Norton, a birder in New England. 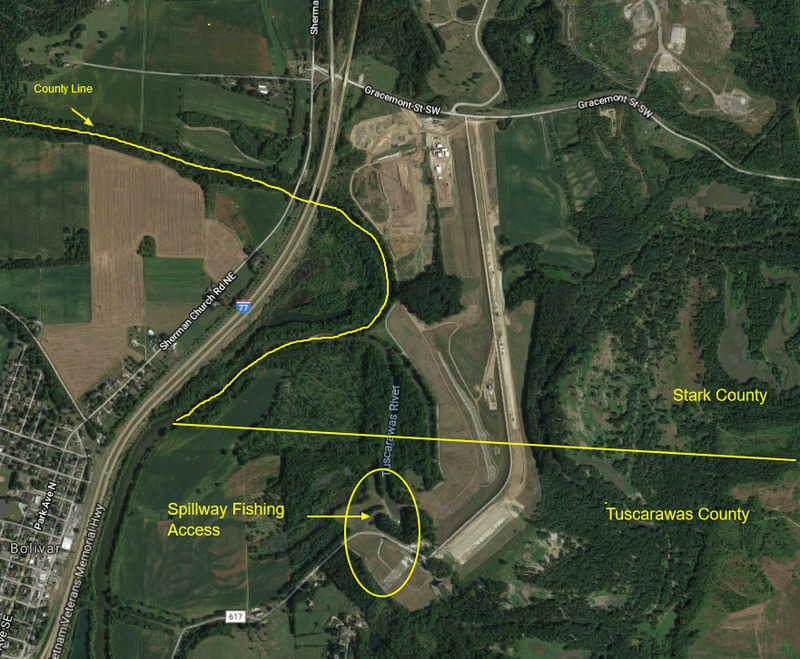 Thanks to Jacob Abel for suggesting this hotspot on the Big Walnut Creek in the Big Walnut Important Bird Area. Thanks to Ellie Hahn for suggesting this hotspot. Thanks to Daniel Brockman for suggesting this hotspot in the Memorial Park adjacent to the National Museum of the Air Force. Thanks to Doug Bryant for suggesting this hotspot. Thanks to Nathaniel Sheerer for suggesting a hotspot at this park in Wooster. The names of these two parks has been adjusted as the Delaware County Preservation Parks no longer uses the word “preserve” in the park names. The official names are Gallant Farm and Gallant Woods Park. Added photos to all three pages. Thanks to Ken Andrews for designing a Notable Sightings gadget which has replaced the popular BirdTrax display of rare bird sightings on the Ohio home page. Please note there are three tabs in the display. + Notable Sightings in Ohio (the default) shows the most recent rare bird sightings reported to eBird, sorted by date. Sightings that have been verified by eBird reviewers are highlighted in a yellow box. + Recent Sightings by County looks back 30 days. It shows the most recent sighting of a species in the selected county. + Recent Checklists by County displays the past 150 checklists for the county. When you switch to a tab you must select the county of interest to you. Thanks to Laura Dornan for suggesting this additional hotspot at Guilford Lake State Park and for providing tips for birding Guilford Lake. Thanks to Oscar Wilhelmy for suggesting this hotspot in the Norwood area of Cincinnati. Custer Monument is to the young soldier whose “Last Stand” made him a household name, at the site of George Armstrong Custer’s birthplace. Photos added to page. 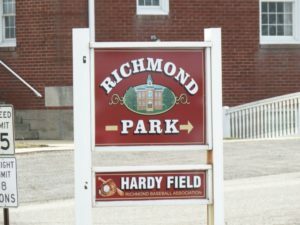 Richmond Park is located on South Park Street. Photos added to page. 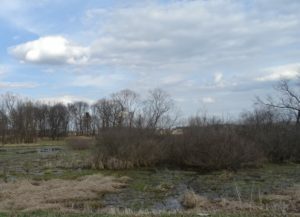 Thanks to Paul Jacyk for suggesting this hotspot on OH-2 in Jerusalem Township and for providing a photo for the page. Thanks to Friends of Ottawa National Wildlife Refuge for announcing the opening of this new unit of the Ottawa National Wildlife Refuge. Thanks to Ethan Kistler for suggesting these two new hotspots at West Branch State Park. Thanks to David McConnell for suggesting this college campus as a hotspot. Thanks to Su Snyder for suggesting that we add this hotspot near Funk Bottoms Wildlife Area adjacent to Wilderness Road in Wayne County. Thanks to Mark Fesh for suggesting that we add Howard Marsh Metropark to the Lucas County Lakeshore Birding Drive. Photos were added to these locations on Catawba Island. 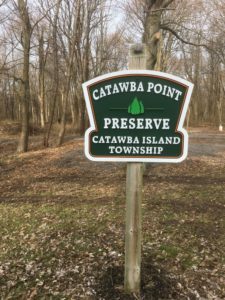 The name of the hotspot formerly listed as Catawba Island Nature Preserve has been changed to Catawba Point Preserve to reflect the official name used by Catawba Island Township. Google Maps has this preserve incorrectly named. The name of this hotspot has been changed so that it can accept checklists of birds seen in any section of Zoar Village. Thanks to Carl Winstead for suggesting this additional hotspot at Buck Creek State Park and for providing tips for birding this location. Thanks to Lee Funderburg for suggesting this hotspot along the Little Miami River. Westmoor is a neighborhood park adjacent to Westmoor Middle School. Wilson Road Park also provides parking and access for the Camp Chase Trail. Thanks to Daniel King for suggesting this hotspot along a newly opened bike and walk trail in Green Township. Thanks to Alexis Treeger for suggesting this additional hotspot at Hueston Woods State Park. Thanks to Paul Sherwood for suggesting this additional hotspot on Wingfoot Lake. Thanks to Gary Cowell for suggesting this hotspot. Thanks to Jim Rowoth for suggesting Wyman Woods as a hotspot and to Rob Thorn who suggested that the three small parks along the Goodale Boulevard greenway would together make a good eBird hotspot. Thanks to Rick Luehrs for suggesting this location as a hotspot. Thanks to Gary Cowell for suggesting this location as a hotspot. Thanks to Matthew Kappler for suggesting this location as a hotspot. The Rare Bird Alert from the eBird website replaces the popular BirdTrax gadget on the Ohio home page. I am disappointed to let you know that BirdTrax is not being supported by the developer and the version we were using is no longer able to extract data from eBird. Added information about Stange Prairie from the Friends of Ottawa National Wildlife Refuge.